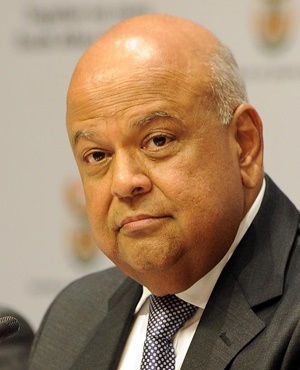 Ratings agencies will be keeping a close watch on how Finance Minister Pravin Gordhan will be funding state-owned enterprises (SOEs). This is according to a preview on the national budget by Craig Pheiffer, chief investment strategist for Absa stockbrokers and portfolio management. Ratings agency Moody’s recently kept South Africa’s credit rating two notches above sub-investment grade with a negative outlook at Baa2. Fitch kept the sovereign rating at BBB-, but downgraded the outlook to negative, and S&P Global also kept the rating one notch above junk with a negative outlook. Fitch and S&P raised concerns about the financial state of SOEs. In its commentary, S&P stated that South Africa’s contingent liabilities were, however, limited and that government faced risks from non-financial public enterprises with weak balance sheets. These may require more government support and include the likes of Eskom, national roads agency Sanral and SAA. Fitch raised concerns over SOEs remaining a contingent liability to the sovereign. Debt of the nine major SOEs amounted to R743 billion, or 18.2% of GDP, at the end of March last year. Of this, R280 billion was subject to government guarantees, said Fitch. Pheiffer said that market watchers would be focusing on announcements in Gordhan’s budget that could possibly sway views by ratings agencies. These areas include the medium-term view of the sovereign debt level, the budget balance and economic growth. The widening of the budget deficit, fiscal slippage or greater debt levels than forecast in the mini budget could also be “negatively received” by S&P and Fitch, said Pheiffer. Their ratings were each one notch above junk and a negative move could see a downgrade, he said. The mini budget reflected a “weaker fiscal position” than that presented in February last year, and the markets had already been “sensitised” to the slippage, he said. A boost in personal income tax will most likely prevent further fiscal slippage in the midst of a slow-growing economy. “Any additional credible growth initiatives would also be well received and, overall, there is a scenario where South Africa could escape a ratings downgrade once more,” said Pheiffer. “One could debate whether or not the current rand/dollar exchange rate is pricing in a rating downgrade, but bad news from the budget could see a weaker rand both in the short and long term, especially if it does lead to sub-investment grade status,” he said. Absa projects an exchange rate of between R13 and R14 to the dollar. A year-end exchange rate closer to R14 to the dollar is expected. Further, a weaker currency would have consequences for inflation, he said.